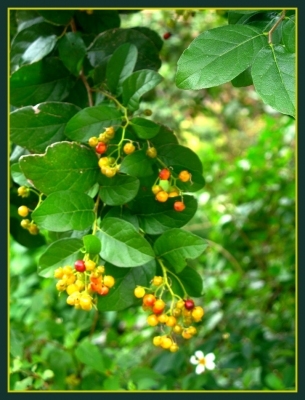 The plant is harvested from the wild for local use as a food and source of wood. South-western N. America - S.E. Texas to Mexico. A good concise guide, it gives details of habitats and some of the uses of trees growing in Texas. Seed - we have no information on this species but suggest sowing it as soon as it is ripe in a greenhouse. Sow stored seed in late winter or early spring. When they are large enough to handle, prick the seedlings out into individual pots and grow them on in the greenhouse for at least their first winter. Plant them out into their permanent positions in late spring or early summer, after the last expected frosts. Cuttings of half-ripe wood, July/August in a frame. Division of suckers in the growing season. Captcha: How many fingers does the typical human have?